Date Category Axes are a special case of Category axes in Excel which give them some of the properties of Values axes. 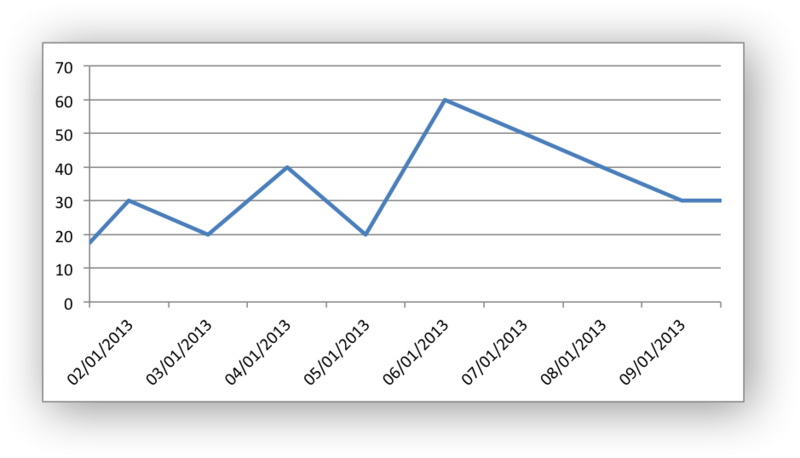 For example, Excel doesn’t normally allow minimum and maximum values to be set for category axes. However, date axes are an exception. If used, the min and max values should be set as Excel times or dates. # Widen the first column to display the dates. # Some data to be plotted in the worksheet. # Write the date to the worksheet. # Add a series to the chart. # Configure the X axis as a Date axis and set the max and min limits.